Lighting | Ministry, Music, and the Mix. I think lighting is the most overlooked technical art in churches today. Sound we get – because feedback is unbearable.Video we get – because between TV and YouTube we spend hours a day absorbing video. Even graphics we get – We all know what a bad PowerPoint looks like! When it comes to lighting though, many churches I’ve worked with couldn’t possibly be less interested. I am a huge fan of lighting in church work. And not just for your youth services either! Lighting has the power to do two critical things: 1. Focus peoples attention, and direct it where you want it, (minimizing other distractions) and 2. Control energy and atmosphere in your room. This is something that’s easier to demonstrate than to explain, but trust me, if you are interested in engaging your congregations attention, and/or creating environments that ‘feel’ conducive to worship – you need to be thinking about how you are using light. 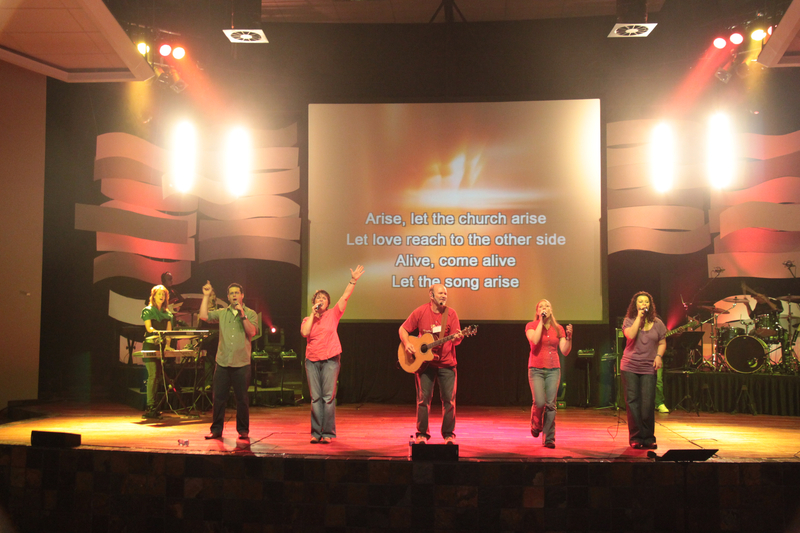 Here’s the paradox of stage lighting in churches. Like most technical art in church arenas, a lighting system needs to exist to bring attention to something other than itself. Makes sense right? When it’s done right, you didn’t really notice it, sure it looked beautiful, but more than that – it just ‘felt right’. It ‘felt easy to worship’, the congregation was ‘into it’, and more people were engaging. The lighting has helped create an atmosphere conducive to worship – by focusing attention on where the worship leaders are taking the congregation, and using color, light and shade to complement and enhance the dynamics of that journey. Again – this is easier to demonstrate than to explain, but like-it-or-not, music today is an audio-visual experience. As I described in a previous post – the ‘worship experience’ is as much about what you are seeing as what you are hearing. Tech Workshop Dates are out! “Fundamentals Of Sound Reinforcement”: The Principles of Sound Reinforcement; The Human Ear; Your Sound System; Basic Mixing Techniques; Dynamics; Advanced Mixing Techniques; FAQ. This workshop also includes access to the “Open House” on the Thursday night, when you can come through to the Umhlanga Campus to observe a rehearsal, and ask audio or other production-related questions. Note: This workshop is free and open to all. If you are interested please let me know! I can only confirm this workshop only once we have sufficient numbers! “The Language of Light”: Lighting Fixtures & Lighting Control Explained. Design, Programming, & Operation Discussion. Energy vs. Focus. This workshop will include access to the “Open House” on the Thursday night at the Umhlanga Campus, when we will run lighting during a rehearsal, to get practical experience on the console. Please contact me to confirm your attendance, or for any other quires. One of our audio guys at Grace reminded me this week, that we learn something new every time we get behind an audio console. And really – how true is this!? Don’t be afraid to experiment and learn – your church needs you to be all you can be! *aside* In my travels I’ve discovered many church audio guys who think their work begins and ends at the sound desk. Live audio starts at the source (the stage), and if you aren’t spending SIGNIFICANT time there, I would argue you aren’t giving yourself a fighting chance of creating a good mix! 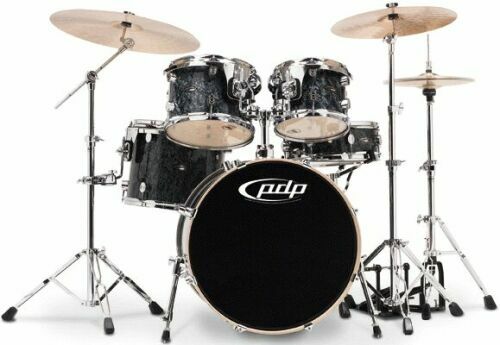 Up until very recently, we have been micing up our Pacific Drums CX Series Kit with Shure A98Ds on the toms, a beta57A on the snare, a Beta52 in the kick, with a KSM32 on overheads, and an sm81 on the hats. I realized that trying different combinations/positions doesn’t cost anything, (especially if you have friends or vendors who will let you demo mics) and the results can be surprising. Seriously – moving a mic an inch away or towards a drum can mean the difference between a great sound, and a RUBBISH sound. There are LOTS of ways to mic a kit, and a lot of good info available online. I discovered I’M NOT A FAN of the A98Ds, as acclaimed as they are. I found them to be poorly designed (plugs always coming loose, even when GLUED on – and being phantom-powered they make a massive noise when loose) AND they didn’t sound all that great on toms. Move those large diaphragm KSM 32s to the toms though, and you kits sounds like its twice as expensive! There are lots of opinions around micing snares. I’ve had lots of success with the beta57 on the top, and the A98D on the bottom. (Top gives you that great tone and crack, bottom gives more crack and sizzle). I must add though, having tried half a dozen snares – a snare drum has a personality – you will have to find the one that best fits your style of music, your drummers, your drum mics, and your room. We added a second kick mic the Beta 91, inside the kick, giving us the kick attack, and tone, leaving the beta 52 free to capture the beef of the kick. I decided to move the hi-hat mic up to the overhead position – and I haven’t missed it! Hats can be tricky – I for one find ‘splashy hats’ to be one of the most obnoxious sounds on the stage, and although we had a mic on them, we seldom used it in the mix. For the most part now I pick up a drum mix, with crispy cymbals and hats through the overhead very successfully. Watch out for phase issues when under-micing drums and using open overheads, flip those phase switches and have a listen! Ok this post is waaaay to long, and I have a lot more to say… (I’d love to post on drum mic compression and gating someday) but for now I’ll just finish by encouraging you to experiment more with your drum mics and micing techniques! You’d be amazed what a difference it makes, not just to the drum sound, but to the entire mix. P.S. Just a few weeks ago I got to switch the toms over to Senhiesser MD421s. What a difference. I couldn’t possibly say enough nice things about these brilliant, classic mics! Just a quick one – but I wanted to let you know as early as possible. I’m going to be running two technical arts workshops early in May. One on audio, and one on lighting. They were originally specifically for Grace people, but I’ve decided to widen the scope a little cos I’m convinced that churches can learn from each other! I’m also hoping to include an ‘open house’ night as part of the workshop, so you can sit-in on a Grace rehearsal and see us do what we do. Spread the word. The workshops are free, and I’d love to see as many churches represented as possible. Exciting stuff guys! Looking forward to seeing you! Well its been more than 3 weeks since I got back to a very busy season at Grace. I got to attend the “Gurus of Tech” technical arts conference in Chicago, as well as spend a couple of days with the team at Lakepointe Church in Dallas, and a few more days at Willowcreek, South Barrington. Many people have asked how the trip was, and its really hard to quantify the experience into a sentence – other than to say it was game-changing. To sit in a room with 500 other church technical artists, and to learn from them, to hear about their struggles, and to bask in the presence of like-minded people was unlike anything I’ve ever experienced. To see the excellence, the intentionality, and the dedication these churches put into their work is inspiring. It turns the “anything-will-do” attitude on its head, and really forces you to go back and grapple with the ‘why we do” questions. I have started and restarted this specific post for weeks, trying to summuries what I learned, and I’ve realized that it’s not going to happen in a paragraph. So I’m going to crack-on and keep the posts coming, hopefully ill get to expand on one facet at a time, and share what I learned in a way that you guys will find useful! Have any of you visited a church recently that challenged you to think about how church could be done better?